Stanford is a relatively new wine production area which is showing tremendous potential. The proximity of Stanford Hills Estate to the coast ensures cool sea breezes during the hotter months, allowing the grapes to gently ripen at optimal speed. 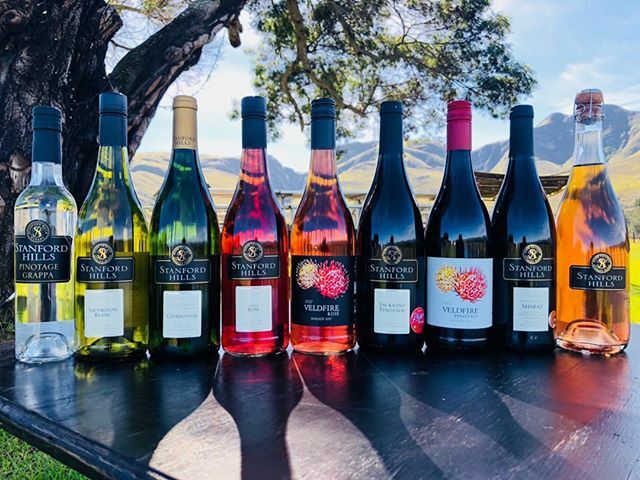 Winemaker Peter Kastner believes that great wine is produced in the vineyard, and credits the wonderful soil and climate of the region for the quality of the Estate wines. All grapes used are produced on the farm itself and picked by hand to ensure only the best quality grapes are used for annual wine production. Wine tastings are offered at The Wine Shop daily. The somewhat basic cellar is located in one half of an airplane hangar on the farm. Peter believes in minimal interference during the winemaking process to allow the grapes to express their individual identity.